​There were 206 people from Story City that served in the military during World War One. Of those 206, eleven men lost their lives while in service. Throughout 2018, the Historical Society will be paying tribute to these eleven soldiers in the Herald on the 100th anniversary of their death. The sixth and seventh soldiers from Story City who died while in service were Andrew Boyd and Henry Larson on October 10, 1918. Andrew registered in the second draft registration of WWI which was held on June 5, 1918. The first draft registration was held on that date in 1917 and men between the ages of 21-31 were registered. The second draft registered those who attained the age 21 after June 5, 1917, which included Andrew. He was drawn in the draft from Hamilton County and on September 5, 1918 was assigned to Co. 53, 14th Battalion, 163 Depot Brigade at Camp Dodge. While there Andrew was busy carrying stretchers bearing victims of influenza, when he was taken down with it himself. Andrew died at Camp Dodge at a late hour on the night of October 10. He had been sick only a few days, first with the flu and ultimately dying from pneumonia. His remains were brought to Story City on the following Monday with the funeral on Tuesday, October 15. The funeral was held at Fairview Cemetery as the state board of health had ordered the schools, churches, and public places to be closed due to the influenza outbreak. Unfortunately for the Boyd family, Andrew’s sister, Mrs. Margaret (Boyd) Allen, would be taken down with influenza and die a week later. 1918 was also a sad year for the Larson family due to multiple deaths. Henry was born in Story City on December 10, 1894. 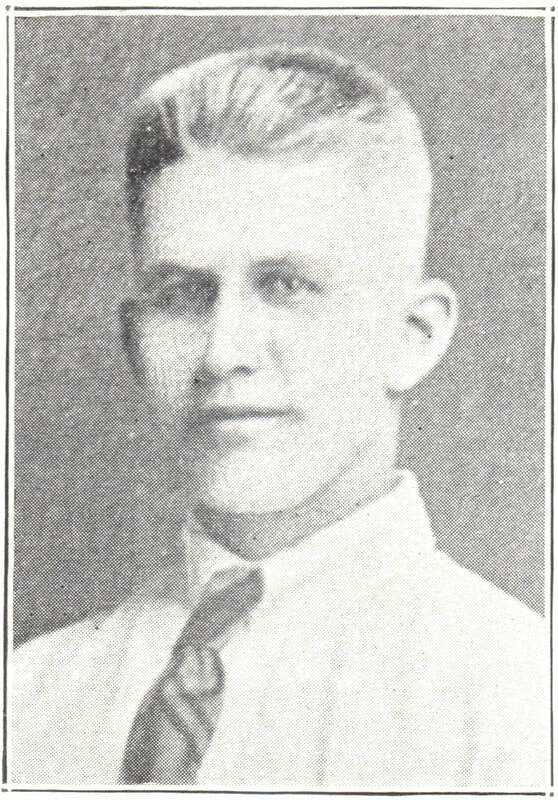 He was the son of Mr. & Mrs. Severt Larson and grew up on their farm south west of town. He was the youngest son of eight children. Henry was cared for and raised by his father as his mother died when he was two. Henry graduated from Iowa State College in 1914 but returned in August of 1918 when ten Story County men were called for special training at the mechanical training detachment at the college. Five of these ten men, including Henry, were from Story City. They were inducted at Nevada on August 15, 1918 and went to Iowa State that same day. Just as the Herald was about to go to press on October 10, the news of Henry’s death earlier that morning reached the office and it was reported briefly. A front page article with photos of both Henry and Andrew was printed the following week on the 17th. It was reported that Henry had been sick for a few days with bronchitis and had partially recovered but it developed into pneumonia a few days before his death. The funeral service was to be at South St. Petri Church but had to be held at the cemetery due to the influenza epidemic and the churches being ordered to close. Henry left three brothers to mourn his death, Iver, Gustave, and Lewis. His mother, three sisters, one brother, and his father, Severt, preceded him in death. Severt died earlier that year on May 23rd from injuries sustained when a large tornado went through their farm. 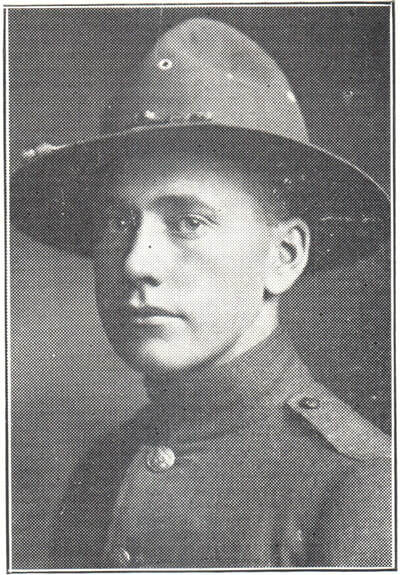 Henry Larson’s name is engraved on the WWI wall in the Gold Star Hall at Iowa State University’s Memorial Union. As we remember Andrew Boyd, Henry Larson, and all of our Gold Star soldiers throughout this year, let us not forget that they gave their all for liberty and peace.